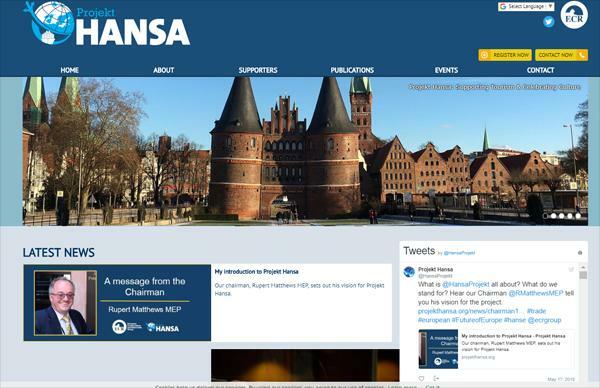 The Projekt Hansa website went live in April 2018 to support and promote the work of the first European Parliament Policy Group of its kind, which has been formed to inform trade, promote business and share cultural links across Northern Europe. Building on the legacy of the medieval Hanseatic League, which established trade links from Iceland to the Baltic to form a powerful trade alliance working towards a shared aim of mutual protection and economic growth. Businesses who trade across borders want to contribute to the building of a cooperative and free trading environment and for the ECR, hearing those voices from across Europe, is an essential part of how we intend to advocate that future relationship. A look at this months Spotlight Project, The Great Create Extravaganza Website. Held in Harrogate each October the event is a major draw in the Crafting calendar.